David Lee, PF 45 MIN | 11-22 FG | 6-7 FT | 14 REB | 0 AST | 2 STL | 1 BLK | 5 TO | 28 PTS | +12Lee now has 18 20/10 games this season, but this one might be the most frustrating of them all. Lee’s first half was special: 6/7 from the field, 17 points (5/5 on FT) and nine rebounds. The second half saw different looks for Lee, as Kevin McHale forced the issue on that side of the floor for the forward. “David Lee wasn’t guarding anybody so we had to go small to make him guard somebody,” McHale said. James Harden was guarding Lee late, and while Jackson force fed Lee to post-up the smaller man, his quickness was negated by Harden’s fast hands and by simply bringing a different look than what Lee is used to. Lee is nifty around the rim, finding lanes and putting in shots that a clunkier forward can’t, but he can be neutralized by a smaller player with active hands. Oh, and this was James Harden guarding him, not Gary Payton. The Warriors constant feeding to Lee was frustrating, especially considering the other options (Curry especially) on that end of the floor. The Warriors end up with the win, but it wasn’t pretty in the second half. Some innovation will be needed for the team to improve on the stagnant flow. Andre Iguodala, SF 39 MIN | 4-8 FG | 2-2 FT | 8 REB | 7 AST | 1 STL | 0 BLK | 0 TO | 11 PTS | +9Iguodala nearly had the quietest triple-double you’ll ever see on Thursday, coming up just a couple rebounds and assists short of the mark. 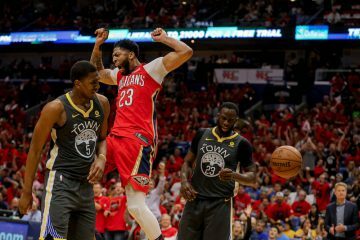 His eight rebounds and ball-handling were key in this extended game, and it was when Jackson used his (still) struggling second-unit for long stretches were Iguodala’s handling and defense were missed most. His injury seems to be behind him, and he kept up with Chandler Parsons nicely (8/24 from the field) all night. Iguodala scored two key baskets in OT, somehow putting in a fumbling hook shot and banking in an 18′ from the top of the key with 2:15 left in the final stanza. He hasn’t shied away from the big moments this season, and he proved that when he’s facilitating on both ends of the floor he can be extremely beneficial. A solid game from what has been a hobbled Iguodala this season. Jermaine O’Neal, C 37 MIN | 1-6 FG | 0-0 FT | 10 REB | 0 AST | 0 STL | 2 BLK | 1 TO | 2 PTS | +12His point total won’t impress, and the fact that Andrew Bogut is still sidelines is worrisome, but if Jermaine O’Neal keeps playing defense and grabbing rebounds like he was on Thursday night, that’ll ease the loss of the Aussie for just a little bit longer. Highlighted by a beautiful, clutch block on Chandler Parsons, O’Neal’s performance against the best center in the game was exceptional. Howard was limited to 4/13 from the field and 11 points. O’Neal isn’t quick anymore, but Howard doesn’t play quick either. His post-ups are slow moving and he likes to body his defender, which worked fine for O’Neal down on the low block. Howard grabbed 21 rebounds, but that was largely a result of the feisty Bogut being absent for tip-outs, blocking out and long misses. O’Neal will be vital to this team as long as Festus Ezeli remains sidelines, and there’s no guarantee Ezeli sees the floor this season. Unless you want more Mo Speights, O’Neal should be your first big off the bench. Stephen Curry, PG 38 MIN | 8-15 FG | 4-4 FT | 2 REB | 6 AST | 2 STL | 0 BLK | 2 TO | 25 PTS | +1325 points? Check. 53% from the field? Check. 63% from deep? Check. Six assists? Check. The most important stat: only two turnovers for Curry in five periods. Curry has mentioned that the timing of his turnovers is just as important as the number of them, and only one of them came in the 4Q (a questionable offensive foul with 6:39 left). 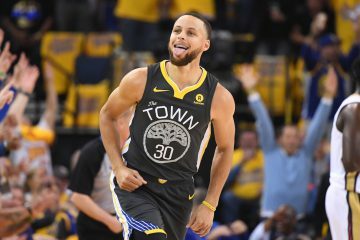 The highlight of the game came from Curry as he drove left and floated a beautiful left-handed layup over Dwight Howard with 3.2 left to tie the game and force OT. The one gripe with Curry: the urge to dominate the game when he needs to is still missing. This is also known as “Hero Ball”, but seeing David Lee fail on post-up after post-up was hard to watch, especially considering the offensive gifts that Curry has. I’d rather a contested jumper from the best shooter in the league than a Lee post-up (after numerous failed attempts). Jackson was playing the matchups, as Lee was being guarded by the smaller Harden late, but Curry has to learn to run the offense himself, even if that means being selfish. Klay Thompson, SG 34 MIN | 6-18 FG | 0-0 FT | 3 REB | 1 AST | 2 STL | 0 BLK | 0 TO | 12 PTS | +15Yikes. The streaky Thompson continued his befuddling offense with another porous outing on that end of the floor. He missed every three he took and grabbed only one more rebounds than his point-guard. While we can discuss his performance on the offensive end, we’d be foolish to overlook his performance on the defensive end. Thompson was elite on the defensive end in the first half, limiting Harden (with the help coming on some doubles) to 2/7 shooting, five points and one rebound. 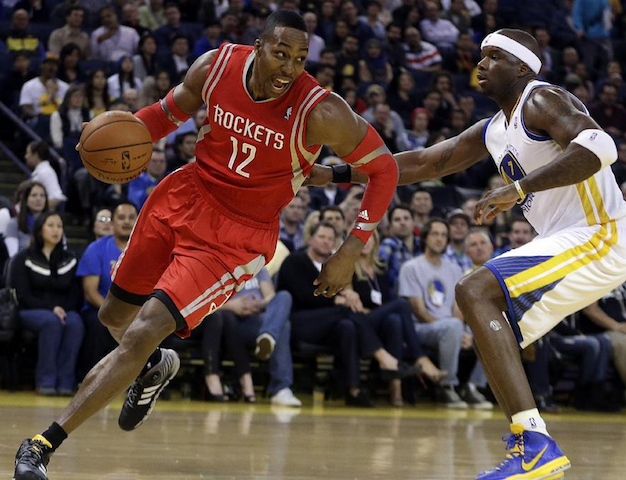 Harden looked rattled, and Thompson looked refreshed playing the second leg of a back-to-back. 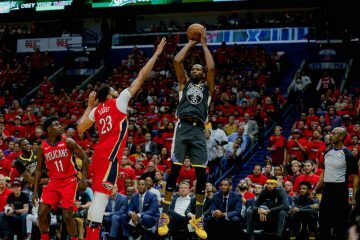 But, that back-to-back came to hurt Thompson and the rest of the Warriors defense in the second half as Harden scored 30 points in the second half (6/8 on FT), 14 of those coming in the 4Q. Harden became the dominant, euro-stepping force that we’ve come to known him as, and the Warriors had no answer for him in the second half. It looks like Mo Speights is inching closer and closer into the Mark Jackson doghouse, as he played a measly seven minutes tonight and did basically nothing in his time on the floor. 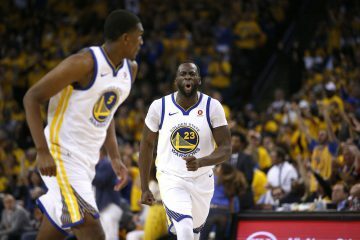 Draymond Green inexplicably played the second least amount of minutes amongst the bench with only 11+ minutes on the floor. This is has been a concern all season, and if you ask Jackson it will almost always be a response indicative of that night’s matchup. Here’s the problem: Green is matchup-proof. His style of play won’t change, but that’s for the better. He’s a bruiser inside that can defend numerous positions, grab rebounds and hit the occasional jumper. It’s a lot more than what Harrison Barnes is giving the team on a nightly basis, and Barnes played 20+ minutes. Jordan Crawford took the acquisition of Steve Blake personal, as it looked like he has something to prove. He scored 12 points on 4/8 shooting and looked like the fearless chucker that we’ve grown to love (and hate sometimes). Steve Blake made his first shot of his Warriors career, but only after Oracle Arena gave him a standing ovation for the ages. In fact, that was his only made bucket of the night, as he quickly became aware of the Warriors isolation offense and contested jumpers. He’ll find his way in this offense soon enough, and Blake will prove to be a vital component off the bench as the season progresses. the warriors offense really can be simplified down to: isos, post-ups, and fastbreak 3’s for curry and klay. c’mon mark jackson.